Amidst all the excitement of launch dates of the next gen consoles and launch line ups, there are plenty more games under development for the one gaming platform that never dies: PCs. Publisher 1C Company and developer Digitalmindsoft have recently announced the next game in their Men of War series, Men of War: Assault Squad 2. 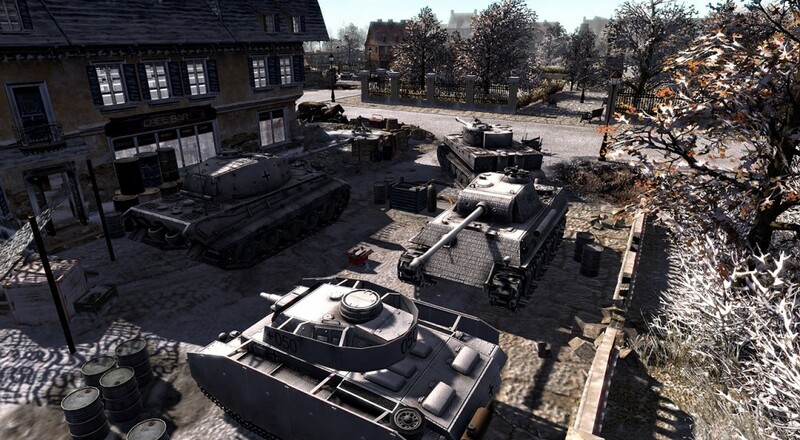 Still taking place during the height of hostilities of World War II, Men of War: Assault Squad 2 offers a fair deal of improvements and enhancements over the original. The biggest innovation of this particular series over other RTS games is the "direct control" feature where players can place themselves in the shoes of their units and move them about using the directional keys instead of the usual point-and-click. It's a bit gimmicky, but could prove highly entertaining when you took control of a tank and steamrolled a group of enemy troops. Currently, Men of War: Assault Squad 2 is scheduled for a release in Q4 of 2013. Page created in 1.4389 seconds.